With driving, comes great responsibility, especially in the winter months. When transporting yourself or others to work, school or playdates you will want to make sure that you are prepared for emergencies that may occur. 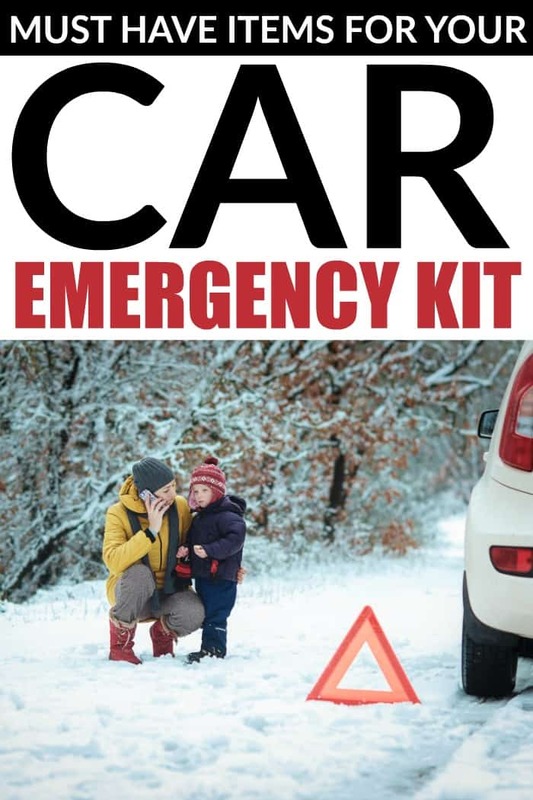 The truth is, having a car emergency kit is extremely important to drivers. The weather isn’t always predictable and let’s face it, accidents happen and sometimes vehicles can break down. Avoid getting caught unprepared with a well-stocked emergency kit in your car. It is important to make sure that your phone is always charged while you are on the road. And always keep a phone charger in your vehicle. It is also a good idea to make sure that your phone is well equipped with emergency contacts and other applications that can help you in case of an emergency. No one wants to get stuck at the side of the road or in a parking lot when their vehicle just won’t start. Having jumper cables on hand can help you get back on the road faster than if you wait for someone to bring you some. Having an extra bottle of windshield washer fluid can help you if you run out while on the road. A clean windshield is extremely important when it comes to safe driving and you don’t want to run out, especially in the middle of winter. Blankets are important, especially in those winter months. 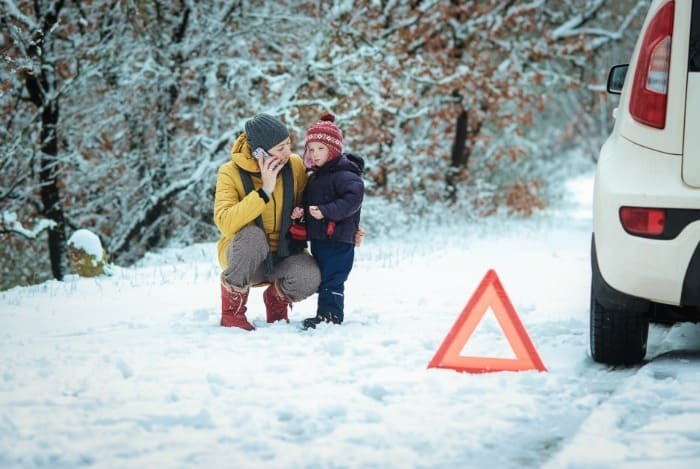 If you find yourself stuck on the side of the road, and your car won’t start, you will want to ensure that everyone in the vehicle stays warm while they wait for help. Hats, mittens, scarves and even extra jackets can help to keep you warm when your car unexpectedly breaks down in the dead of winter. If you ever break down at night time a flashlight can serve as a valuable tool. Not only will you be able to check the car to possibly self-diagnose the problem, but it can also help people to locate you when you are stranded on the road. Don’t forget to have the appropriate batteries for your flashlight. Having reflective triangles in your vehicle is a great way to let other drivers know you are stranded on the side of the road. They also help point you out if your 4-ways aren’t working. Having a bag of road salt, kitty litter or sand can help to provide traction if you find your car stuck in mud, snow or other uneven surfaces. Having a shovel in your vehicle will allow you to make sure that the tailpipe is clear in the event you are stuck in a ditch. It can also help you dig your way out if you are stuck in a snowbank. A first aid kit is one of the most important things to have in your vehicle. If an accident occurs and injuries are sustained a first aid kit can help to keep people safe until help arrives. If something minor happens, there will always be first aid materials on hand. Having an emergency car kit in your vehicle is extremely important, so make sure you never leave home without one. We bought one of the portable booster packs at Costco and I highly recommend everyone have one (and make sure it’s fully charged before heading off). It’s the size of a cell phone but enough to boost your vehicle all on it’s own so not waiting on anyone. That’s awesome Tara, thanks for sharing!